Aseloka Smith, creator and host of The Colored Girl Beautiful, presents her podcast for feedback. Applications open today for round two of the Google Podcasts creator program. The teams we select will receive months of training, mentorship, and up to $40K in seed funding. Apply here; the deadline is 11:59pm ET, Sunday, April 14. 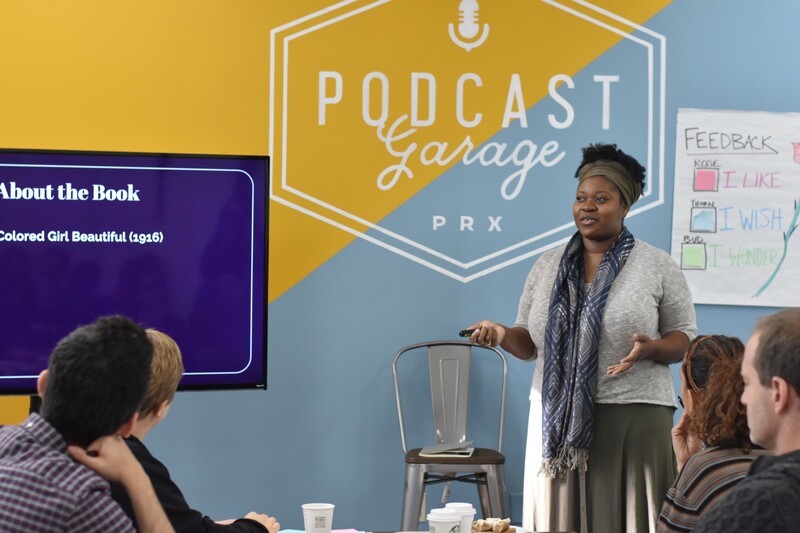 Google and PRX designed this podcast accelerator program to lower barriers to entry and elevate underrepresented voices across podcasting. And, if this round is anything like the first, we’ll be facing some tough choices. Last time, we received thousands of applications from over 100 countries. We chose six incredible teams. The one thing they had in common? They got us to listen. We’re looking for people we want to invest in and who are making shows we’re excited to help grow. The strongest applicants made clear why they are the team not to just to create any podcast, but to create the specific podcast they’re pitching. Think about the work you’ve done, the experiences you’ve had, the places you’ve lived, the passions you’ve pursued, and anything else that’s relevant to the story. Then connect the dots for us: Why you, for this show? “When you design for everyone, you design for no one.” That’s a phrase you’ll hear us say a lot. So tell us: Who is your perfect listener? What do they care about? Can you picture where they’ll be and what they’ll be doing while they listen? Do you know why they started listening? The team reviewing applications may not be your target audience, but the more you demonstrate you know who you’re trying to reach, the more we’ll trust you’ll find them. In Round One, we got a lot of applications about a general topic: about art, about entrepreneurs, about race or identity…about almost any topic someone could make a podcast about. But the applications that got our attention had a story to tell. They had characters instead of categories. They had driving themes instead of loosely structured conversations. They sketched episode outlines and season arcs that allowed us to hear the show. And–you may be sensing a theme here–they got specific. With all of the above said, we want to invest in talent and potential, and are looking for people over stories. Key details about your podcast will change over the 20-week training. The only constant is the creators. To be clear — we’re not looking for podcast superstars. Instead, show us you’ve done the work to develop your ideas. Give us a sense of what you’re able to do, even if your work has mostly been in other mediums, and make sure we know why your team works well together. Twenty weeks of training, mentorship, and funding is a big deal. But it also isn’t everything. Strong applicants understand that. They’ll show us they’re ready to make the most of this opportunity. They’ll lay out a plan to use this time and money as fuel for growing and sustaining their show. This means taking time to create a thorough and sensible budget. It means treating the application with the same thought and care with which you’ll treat an episode of your show. Above all, it means conveying an entrepreneurial spirit, either through work you’ve already done, or through your vision for what your show can become–and how you’ll get it there. All that’s left to do now is apply by 11:59pm ET Sunday, April 14. We can’t wait to hear from you!